Plants such as poison ivy, poison oak, and poison sumac are known for the itchy rashes they cause when a person’s skin comes into contact with them. Anyone who experiences that itching wants quick relief. It is even better to prevent the irritation from occuring in the first place. IvyX individually-wrapped, single use towelettes can be used to help prevent poison ivy, oak, and sumac allergic reactions. 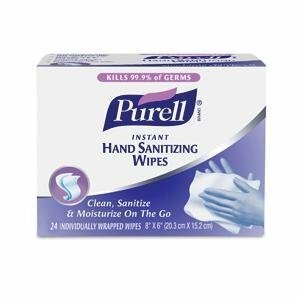 A pre-contact towelette is used before contact with the above plants. IvyX Cleanser is used to clean the exposed skin if plant contact has been made. Disinfectant hand sanitizer kills 99.9% of germs in 15 seconds, including AIDS, flu, & more. Safe, convenient single use packets for home, office, & more. Protect yourself and your loved ones from sunburn with these SunX sunscreen packets. Sweat-free & insect repellent with aloe vera. SPF 30; 50/box. Skin Lotion with Aloe Vera and Vitamin E to add moisture to skin. 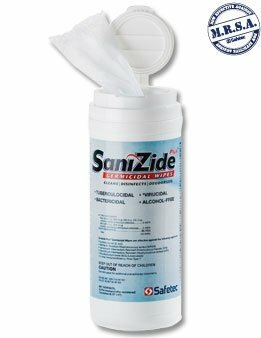 SaniZide disinfectant wipes kill E. coli, TB, AIDS, & more on any hard surface in minutes. Dispensing canister ensures a fresh, clean wipe every time.